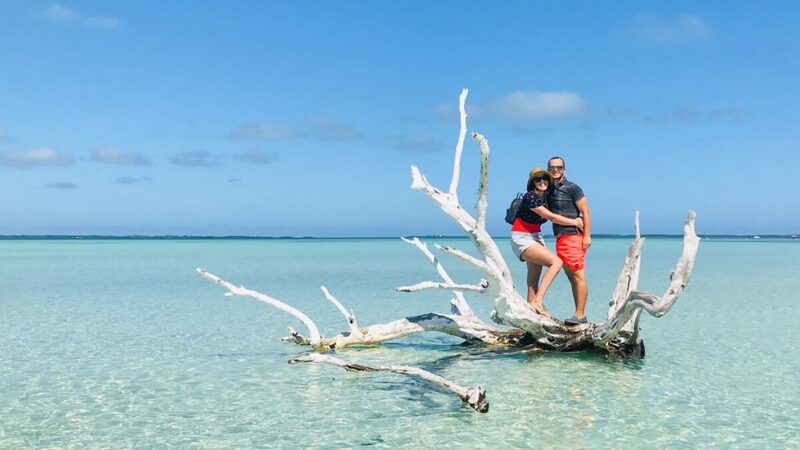 We had no idea what we were getting ourselves into when we left Abacos. 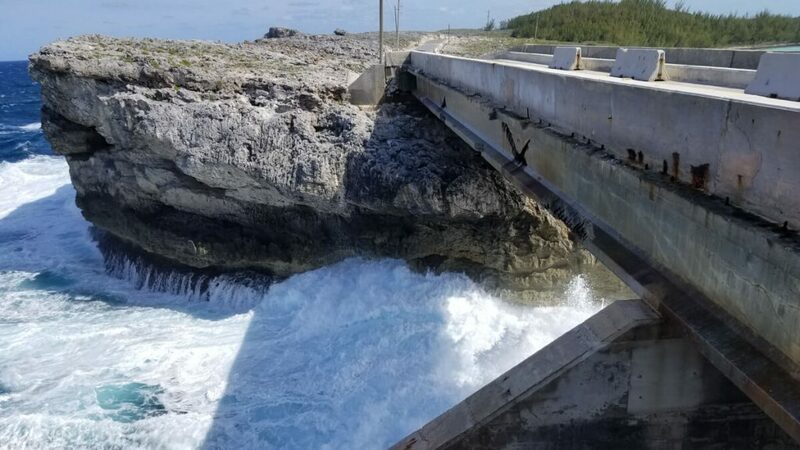 Our calm overnight sail down to Eleuthera turned into a rough and agonizing experience. 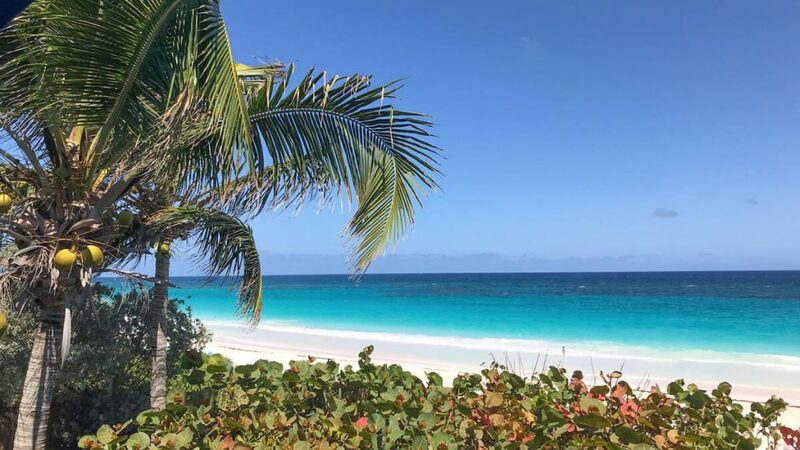 After only 4 hours of an 18-hour journey we ended up having to drop our mainsail, roll in the headsail and turn on the motors… thankfully after 7 hours of beating against the waves we somehow made it to Eleuthera in one piece. 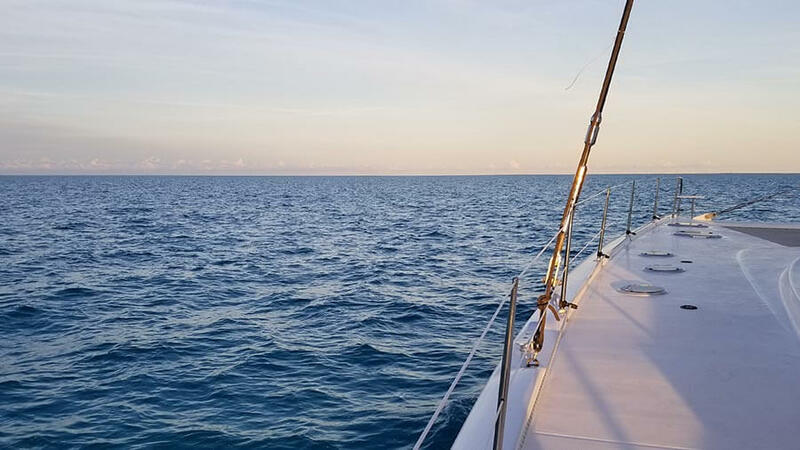 Admittedly, for a seasoned sailor, this journey wouldn’t have been a big deal; it wasn’t dangerous, but it was too choppy for our poor adrenals, and our sea legs weren’t mature enough. 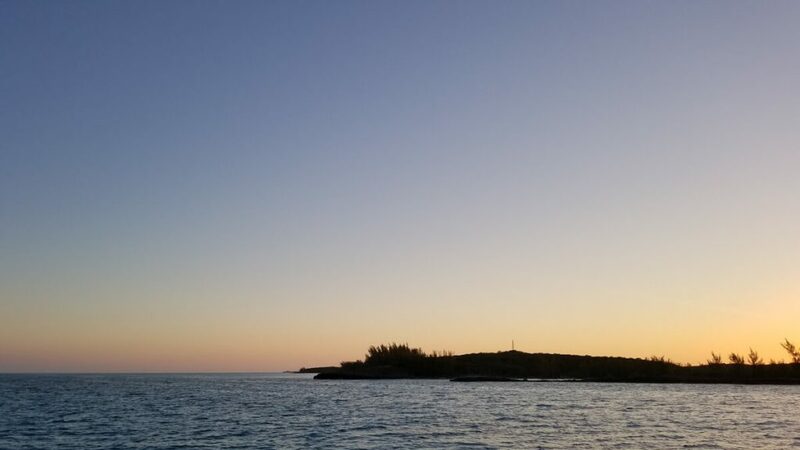 When the sun came up, we got on TimeZero to find the first feasible anchorage to drop the anchor and recover from our voyage – Egg Island (25.4958, -76.887383). We both passed out almost immediately and didn’t appreciate the incredibly clear water until the following morning when we had to move over to Royal Island, but wow, it was spectacular. Our anchor held great overnight, even though there were a couple of rocks. 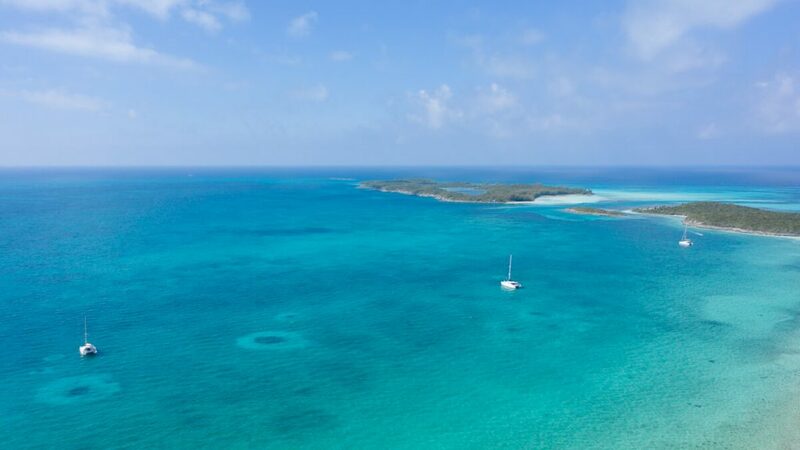 We had planned to snorkel around Egg Island, but the wind was shifting and we had to move. The beach between Egg Island and Royal Island (25.502018, -76.876734) was amazing at low tide, perfect for a set of dogs that need to let off some steam! We played in the shallow waters for hours. And, Coconut made her first 2-second swim toward Leanne. 2 seconds! 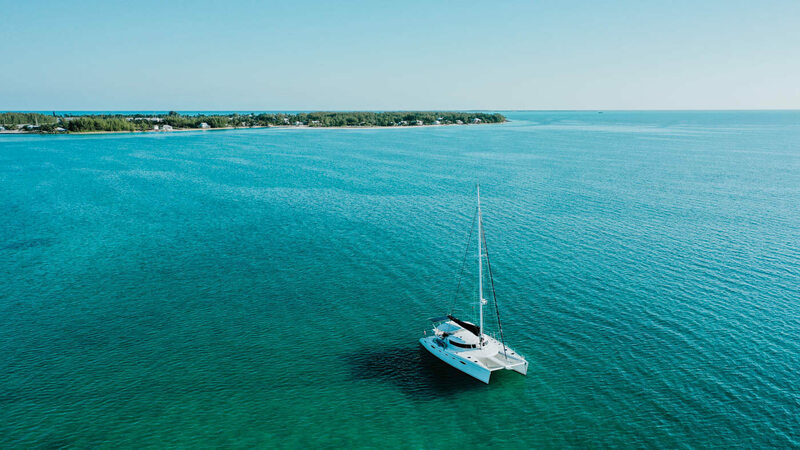 This anchorage turned out to be our favorite in Eleuthera, so we were sad when the wind started to shift forcing us to move. 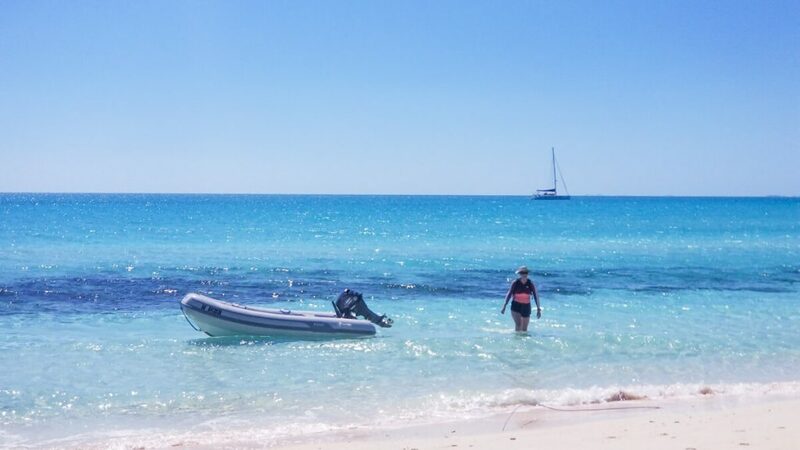 We motored over to this little beach that ActiveCaptain said was going to be AWESOME (25.5118, -76.7782) – surprise number 1 was that there are pigs, and surprise number 2 was that once we got out of the dinghy, to go for a stroll, we were greeted by an admissions sign; $10 per adult NO EXCEPTIONS. No thanks. We jumped back in the dinghy and found another beach (25.507842, -76.773227) to go for a stroll on. But be careful – at low tide it’s extremely shallow. Don’t believe us? Ask the prop on our dinghy. 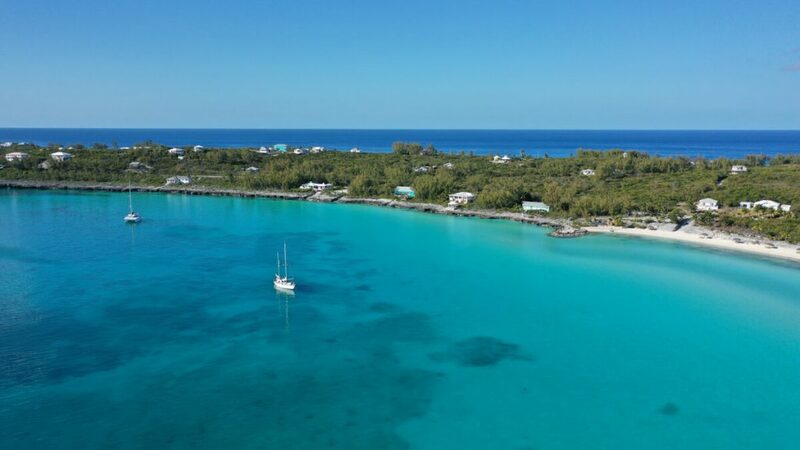 We stayed at this anchorage for over a week for two reasons: friend time, and our watermaker was broken and we were searching for parts before wanting to move on to the Exumas. 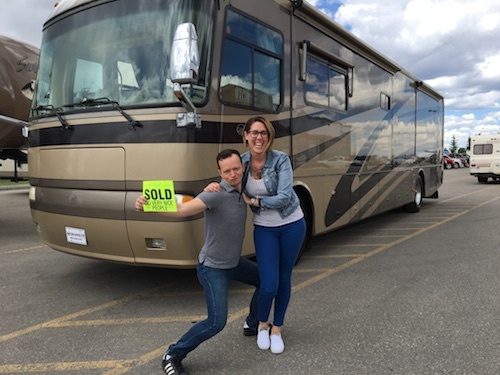 Our friends Cat & James that we’d met during our service items with Just Catamarans & MultiTech were moored at Valentines Resort & Marina – just a quick ferry ride away! 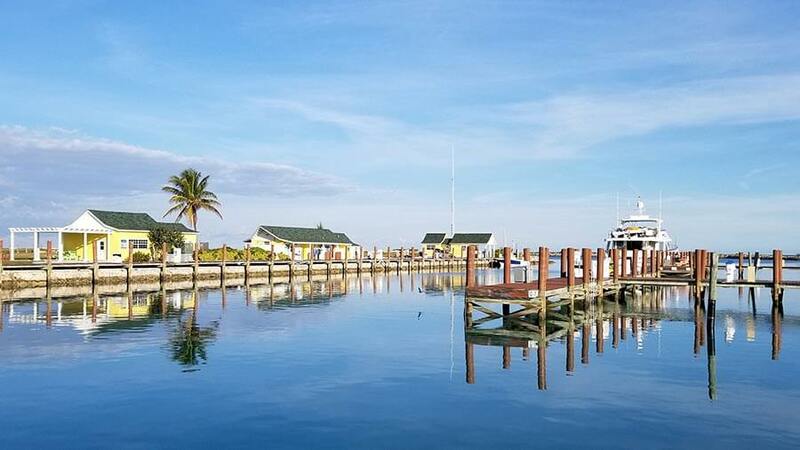 We could have taken the boat there, but it would have involved taking Seamlessly through Devil’s Backbone – a shallow and rocky path that goes from Spanish Wells over to Harbour Town. Many boats get a pilot to take them through the Devil’s Backbone. We decided on taking a ferry. The ferry was expensive – $180 round trip for two adults, but well worth it to catch up with friends and see a new place. 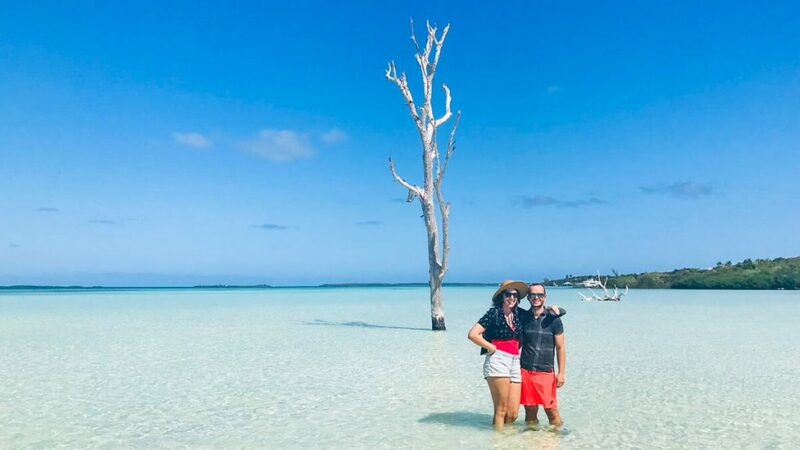 Another picture… with a dead tree that’s supposedly the #1 touristy picture backdrop in Eleuthera. The view from our table at Sip Sip Restaurant which was quite enjoyable! And the food was tasty, too! Claiming that Current Cut (25.403083, -76.792623) didn’t raise our heart rate would be a lie. Passing through Current Cut was the first time that we felt the fear-mongering about a cut was justified. The gap between the two islands, Current Cut, was tight and even at high tide, the current was very noticeable (kind of like a river). But we made it through unscathed! After another 2 to 3 hours motoring south, we anchored by the Glass Window Bridge (25.430833, -76.604067). Unfortunately, it was too windy to get the drone out and take some pictures, but we still took the dinghy to land to check things out. 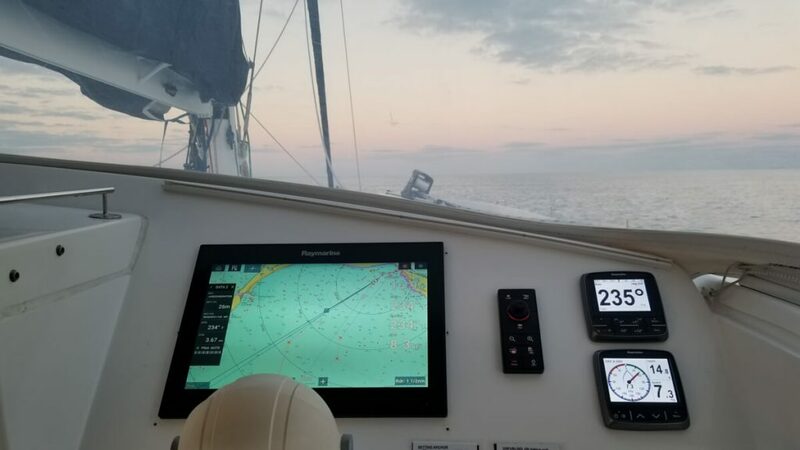 Our Raymarine chart plotters were acting up, continuously crashing and requiring a factory reset to get them back online, so we spent much of the first day downgrading the software on both of our plotters to try to fix the issue before setting off to the Exumas. Twin sisters beaches are breathtaking. 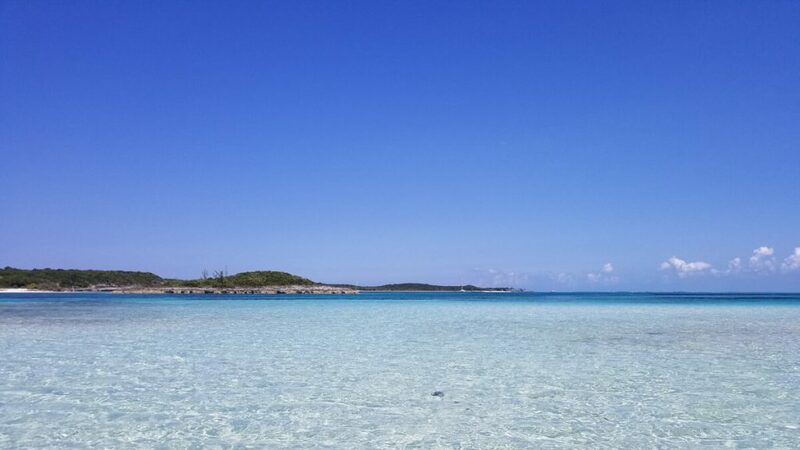 They were the only Bahamas beaches we visited where we took our shoes off and weren’t afraid of getting cut on glass, broken shells, or stepping on something scary. A relaxing ride toward our anchorage. 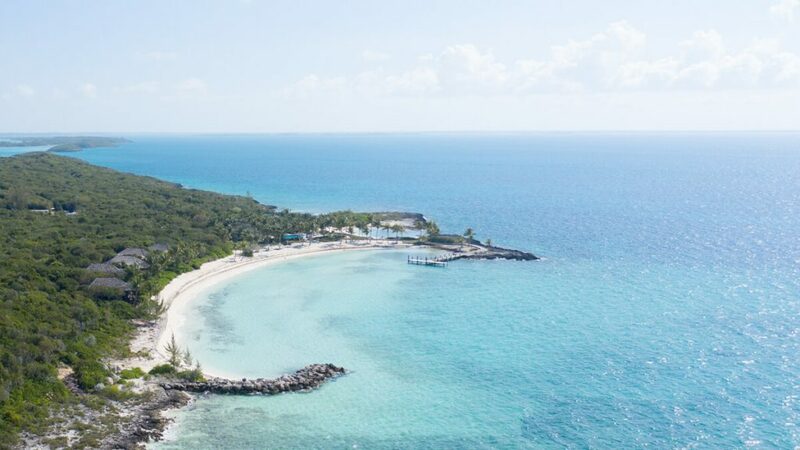 Rainbow Cay – the spot where everything changed for us. Now, this anchorage is most certainly one of our favorite spots, or was until we jumped in the water and were greeted by a bunch; like 30, moon jellies. But, more on that in a second. We anchored close to the shore (25.334183, -76.434817) to get a bit of protection from the wind. The snorkeling around the rocky shore is awesome and there’s a public beach close by (25.333771, -76.431435). When we went out, there were no jellyfish, but later that afternoon we noticed a whole bunch. 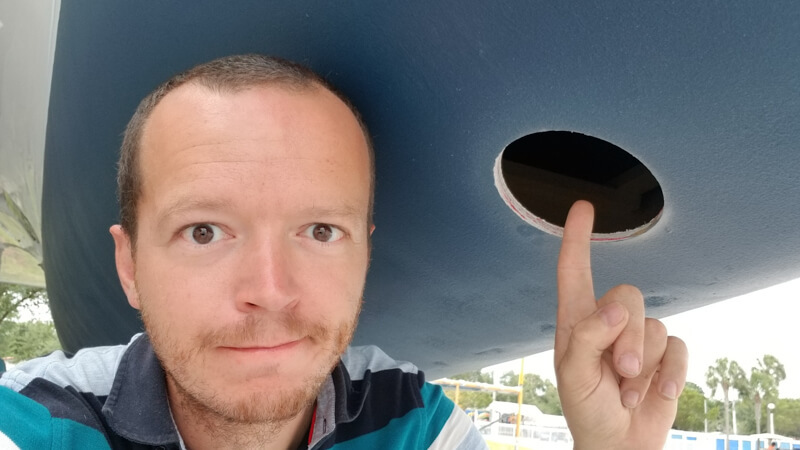 We also noticed that our starboard prop zinc (it’s an important piece of the boat that prevents damage to the hull from electrolysis) was coming off. So we waited until we couldn’t see any moon jellies, got our surface air supply out, and dove down to replace the zinc. Leanne’s really good at spotting the jellies. Me? Not so much. Got stung a bit by one (just a light graze). Nothing a little hydrocortisone cream can’t fix. Still, they freak me out a lot – can’t wait to get a full body wet suit. 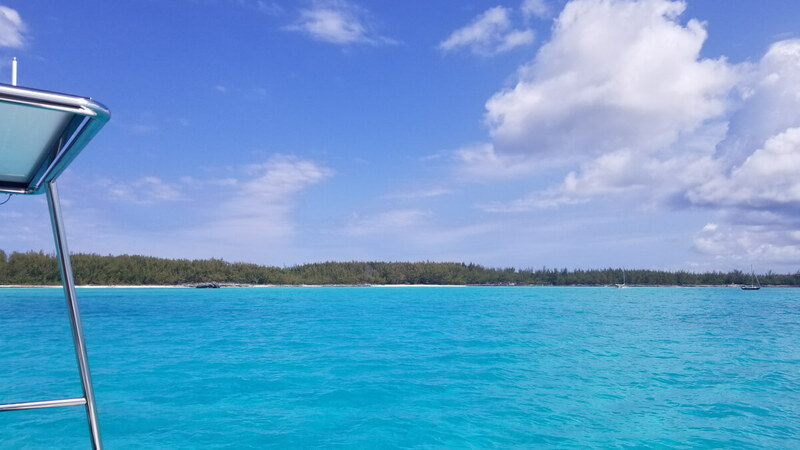 So, with the prop zincs fixed, we started planning our route to the Exumas – you know, the place everyone says you “have” to go when you’re in the Bahamas when our windlass; the winch that pulls up our anchor, started to behave strangely. After a lot of jams, fighting with the unit, and nearly ripping it clean off the fiberglass block, we discovered that the hole where the chain goes into the chain locker was not installed correctly. And, because of the misalignment, was causing issues with pulling up the anchor. We found a way around the fix, and it worked well (but slow) which is fine if the weather is behaving. 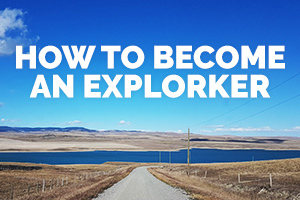 But, if you have a situation where you need to pick up the anchor fast – like, in really bad weather, having a windlass that doesn’t work well could get you into some hot water… especially with a boat the size of Seamlessly. But we didn’t let this fact stop us. In fact, at this time in our journey, we hadn’t yet discovered that having a windlass that couldn’t pickup or drop the hook quickly and easily was necessarily a “bad” thing. At this point, we were just excited that we figured out a manual way of picking up our 155-pound anchor. Have I missed one? I’m sure I have. Moral of the story? Boat stuff breaks, all the time. But we won’t let that stop us!